As I walked up to the steps of the MacCallum House to check in, I felt ridiculously underdressed. About 20 people were gathered on the inn’s front steps and wide, wrap-around porch. The men milled about in suits and ties while beautifully coiffed women clicked around in high heels and elegant dresses. Many were holding drinks, engrossed in lively conversation. A few suddenly threw open their arms upon recognizing an old friend. A wedding tent was set up on the inn’s east lawn; I surmised they were guests in town for the nuptials. 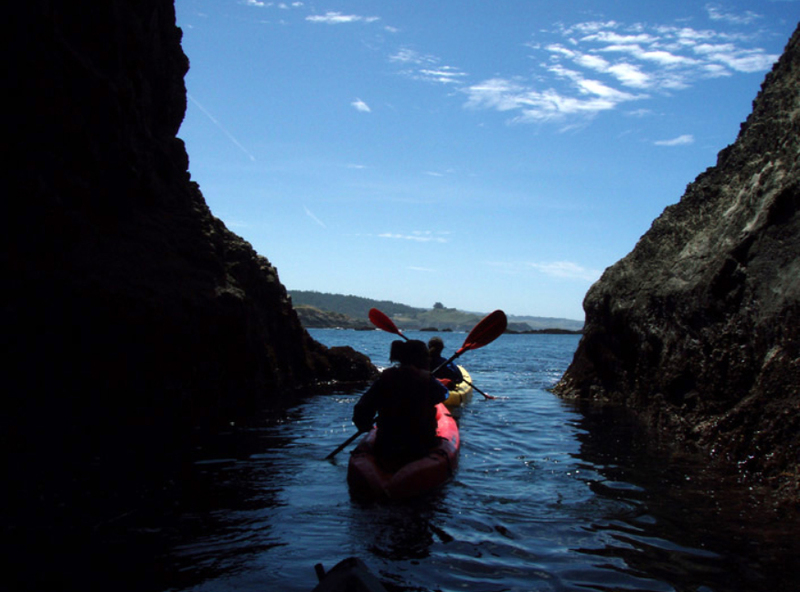 I had just returned from a kayaking tour of Mendocino’s sea caves with tangled, wind-blown hair, a salt-crusted paddle jacket, and grubby pair of sandals. It had been in incredible afternoon: paddling through rock gardens and caves that were protected from the crashing waves. The constant ebb and flow of the blue-green waters against the rocks revealed abundant sea life, including a colorful array of starfish. Shorebirds screeched overhead while harbor seals basked in the sun. A curious sea lion poked his head out of the water a few times to spy on us. Inside one cave, I spotted a lone abalone clinging to the rocks, safe for the moment from the abalone divers I had met earlier in the beach parking lot. But now that I was back on shore, I desperately needed a shower. I gingerly weaved my way through the crowd at the MacCallum House, hoping I didn’t smell too much like a sea creature. The inside, the restaurant and bar were also packed. I climbed a second set of stairs to the lobby for the inn, where the din of the crowd fell away and a young guy greeted me at the front desk. “I didn’t know there was a dress code,” I said to him, somewhat embarrassed. 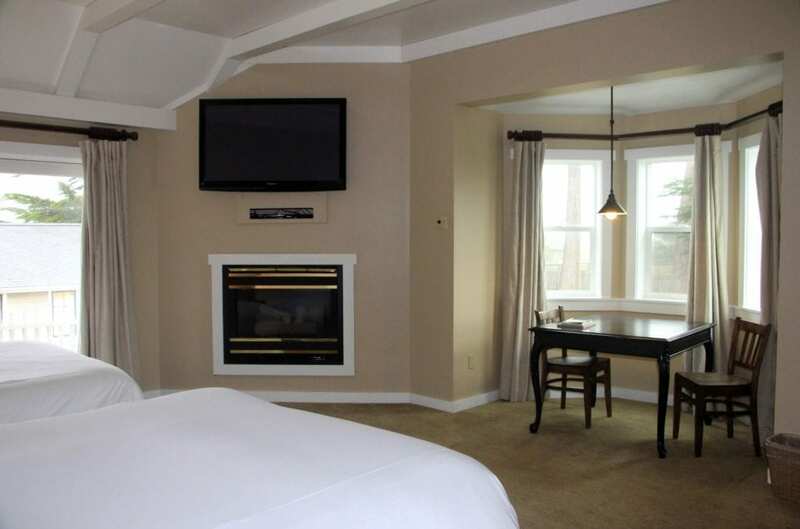 Because all of the rooms in and around the historic main house were sold out due to the wedding, my room was located in a quiet annex a few blocks away called the MacCallum Suites. The all-suites annex is more contemporary in design and boasts gas fireplaces and jetted spa tubs in every room. Some of the rooms have private decks, hot tubs, and/or ocean views. A number are also pet friendly. My room, the English Rose, was spacious. It had vaulted ceilings and two queen beds covered with smooth white duvets. The sliding glass door opened to a private deck overlooking a courtyard garden. 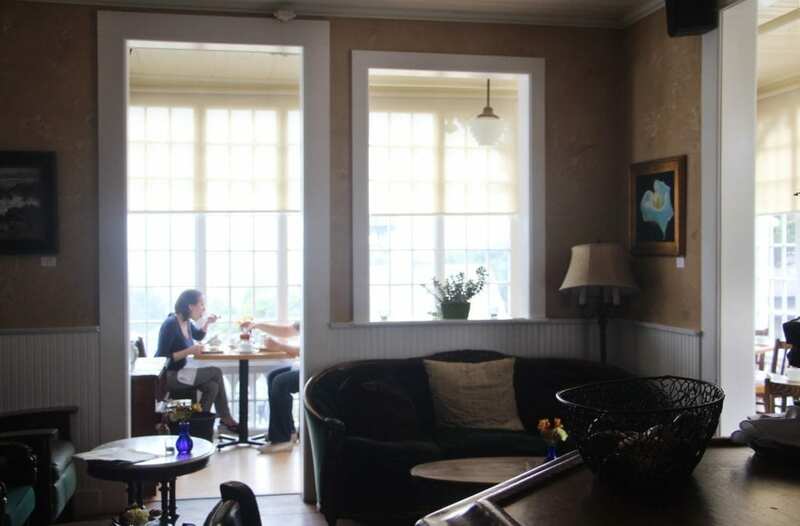 A wooden table and two chairs were nestled in the bay window. A fold-top writing desk and leather chair sat in the corner opposite the gas fireplace. Framed photography punctuated otherwise beige-colored walls. The neutral color palette and long list of amenities (large, flat screen television, refrigerator, coffeemaker, hairdryer, iron and ironing board, etc.) made the place feel less like a bed and breakfast and more like a hotel. But the hotel similarity is far less true of the other MacCallum House rooms, which are divided between the historic main house, the barn, and an assortment of cottages. 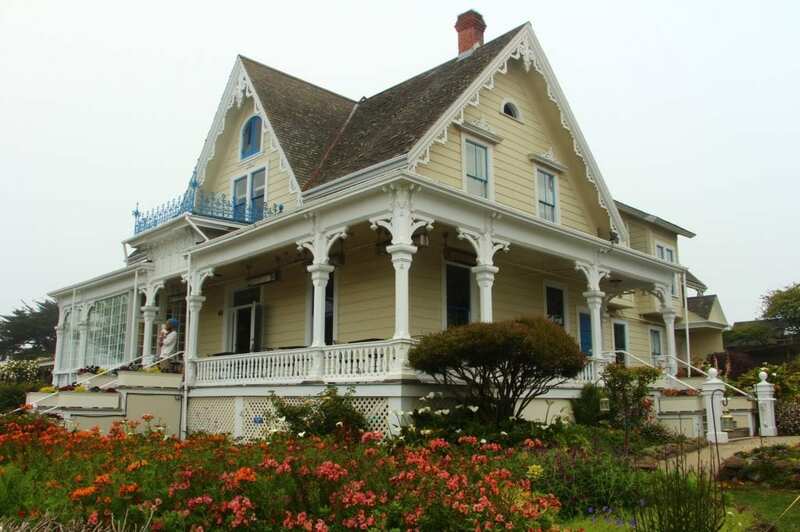 The main house was built in 1882 as a wedding present to Daisy MacCallum, who was a member of one the earliest and most influential families in Mendocino. The house has six unique guest rooms, all with claw foot tubs and Victorian flourishes. 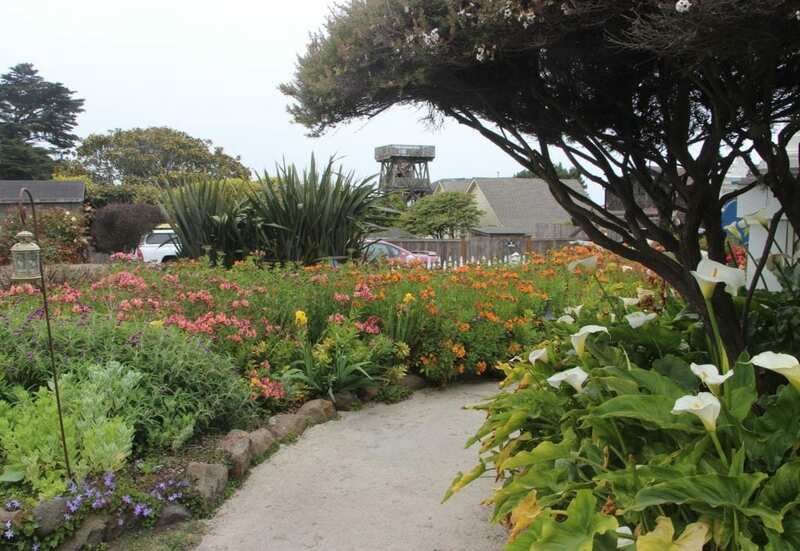 Across the lawn, the former barn has six beautifully converted guest rooms, some with ocean views. Seven cottages line the west and north sides of the property, ranging from a renovated playhouse with a Japanese-style pagoda to a three-story water tower suite. 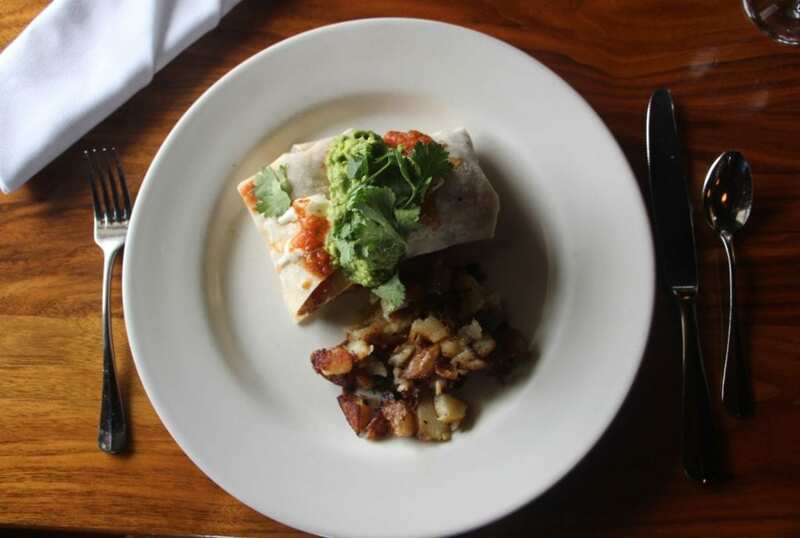 I took a quick shower, put on the only dress I had in my bag, and headed back out for my dinner reservation at the MacCallum House Restaurant. The wedding guests had dispersed from the steps, but inside was still packed. The maitre d’hotel, Herman Seidell, seated me next to the window in the restaurant’s sun porch, in view of the bar. Dressed in a suit and tie, he darted between the restaurant foyer, the bar, and the dining rooms, greeting guests and ushering them to their tables. Locals began spilling into bar and mingling with the out-of-towners. A musician set up in the corner for the restaurant’s weekly Friday night live music gig. The tenor of the crowd took on a more relaxed vibe. The MacCallum House has long been a gathering place. 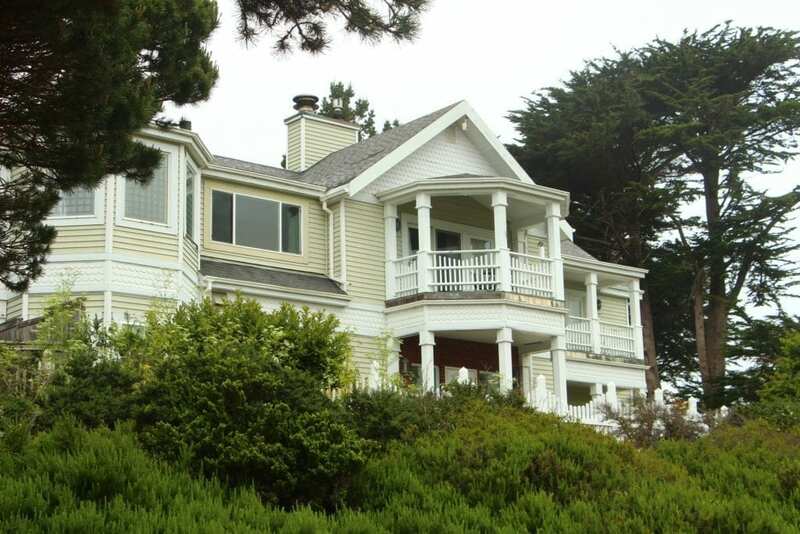 As a well-educated and well-traveled social butterfly, Daisy entertained an endless flow of visiting artists and intellectuals in her grand Mendocino home. She died in 1953 at the age 94. 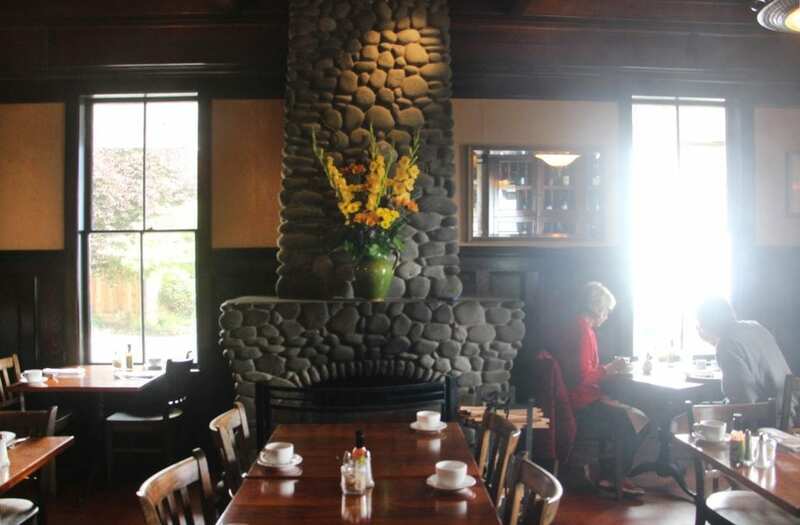 But the convivial spirit she created at the MacCallum House lives on through the inn and its restaurant. I ordered off the restaurant’s list of specials: an arugula salad with cherries, blue cheese, and walnuts (highly recommended) and a handmade pasta dish with grilled steak and sugar snap peas in a Dijon garlic cream sauce (also good). Herman dropped by a couple times between courses. We chatted about the food and the wine and the enormity of the wedding tent on the east lawn. He also told me about Mendocino’s little-known mountain biking trails, which rise steeply in the redwood-covered hills east of town and are not well-marked. General Manager Herman Seidell on the trails east of town. Herman excused himself to go greet more guests who had just walked through the door. Glancing around the restaurant as I finished my wine, I saw that every table was still full. An eclectic mix of people had settled in with drinks on the Victorian loveseats in the bar. Music floated from around the corner above the din of the crowd and the clinking of glasses. 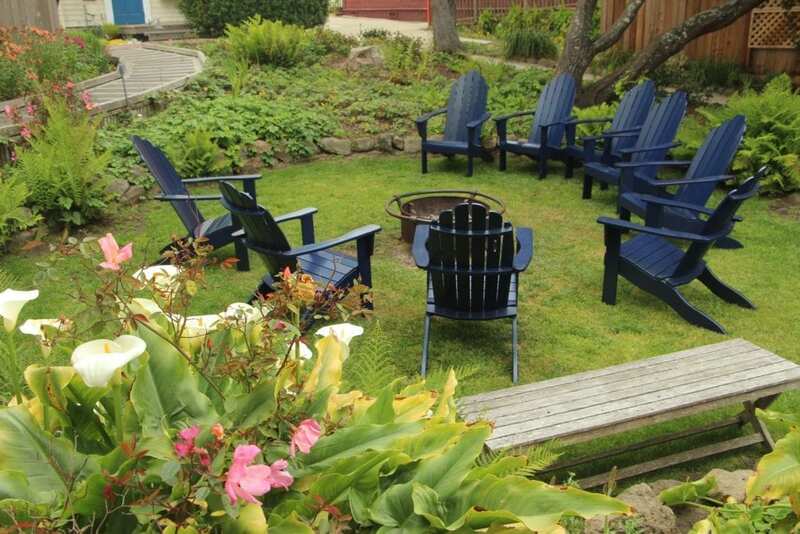 Outside, another group of people had gathered around the glow of the fire pit. The next night, a wedding reception with up to 200 guests would be held on the lawn. If she were still alive, I imagine Daisy would have felt very much at home.